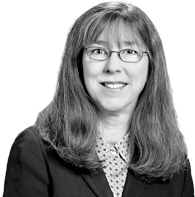 Jane represents insurers and insureds in complex insurance coverage and bad faith cases. Her specialties include professional malpractice, commercial liability, directors & officers insurance, and fidelity bond coverage. Jane also advises insurers about insurance coverage and claims handling issues and inter-insurer disputes. Secured over $1 million in fidelity bond coverage for a client’s employee theft losses, after the insurer disclaimed coverage for late notice. Obtained $12 million toward the defense and settlement of a claim under general liability and D&O policies, after the insurers disclaimed coverage. Advised and represented colleges and universities on matters including student discipline, confidentiality obligations, and antitrust issues. As in-house counsel at a college, negotiated and drafted contracts, and advised senior management.